Make waves this season in the designer Hawaiian Camp Shirt in the Pineapple Luau print! 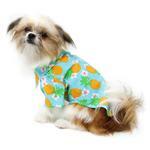 This Hawaiian Camp Shirt by Doggie Design is a great way to make an island getaway or dress for a fun luau! 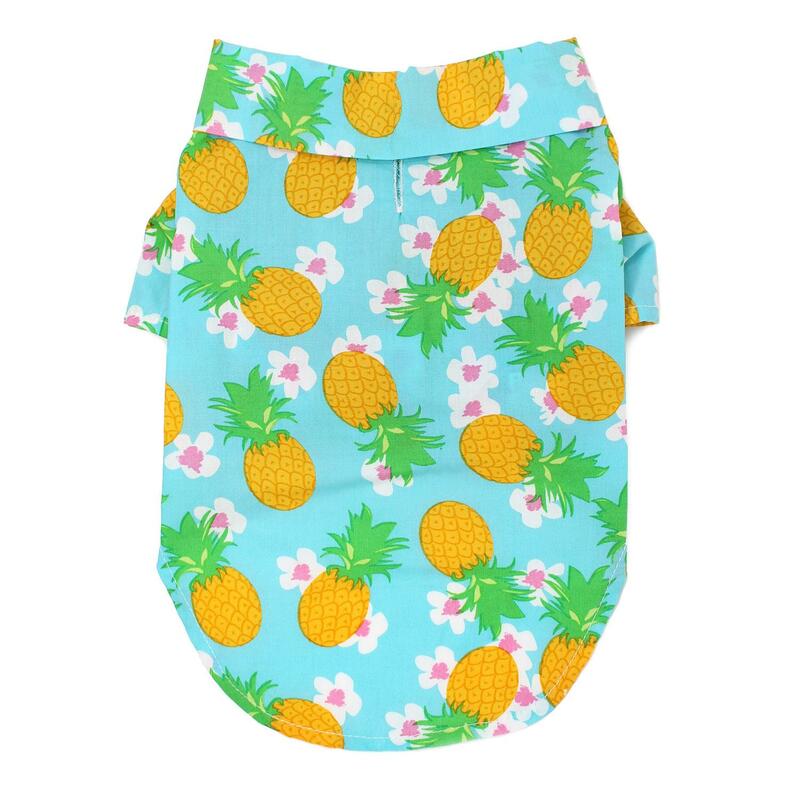 Whether you're on vacation or just want to feel like it, this colorful tropical dog shirt will make a festive statement. This collared shirt has an allover pineapple and hibiscus scene on a sky blue background with tailored sleeves. 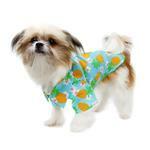 Thanks to the 100% cotton lightweight material, this breezy woven cotton shirt will keep your pup feeling and looking cool during walks on the beach, at pool parties, and on vacation. 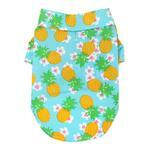 Our Hawaiian dog shirts have a high-cut tummy to keep your pup clean and dry. The collared shirt provides a bit of relaxed island elegance. 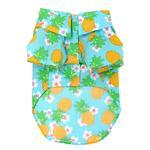 Made of 100% cotton with touch fastener closures at the chest. Since this is a woven fabric, there's no stretch to it. Be sure to factor in extra room for movement and fur. Hand wash in cool water and line dry to keep fresh like the islands. I received the item on time and they were great at communicating when it should arrive. I had to return a previous item because of the fit and although they don't exchange, they have credited it quickly.